How Long Does Speed Stay In Your System And Urine? How long does Speed stay in your system? There is no fixed answer to this. It may stay for a week or several months. It largely depends on your unique physical characteristics. In fact, what is important is whether the amount in the sample gives a positive drug test. Many prescription medications may also give a positive result. It is a street name of Methamphetamine which is a prescription medication. This powerful stimulant treats ADHD, narcolepsy (a type of sleep disorder) and obesity. It works by altering the levels of chemicals in the brain. For this reason, it may become addictive. The risk goes up when you abuse or use for an extended period. Synonyms: Crank, freeze, fire, billy, whizz, bennies, uppers, wake-ups, meth and ice. Similar to most other drugs and prescription medications, Speed is metabolized by the liver enzymes. The active metabolite of Speed is Amphetamine. The inactive metabolites are p-OH-amphetamine and norephedrine. Interestingly, both amphetamine and methamphetamine may also form as the metabolites of many prescription drugs. For example, Benzphetamine, Selegiline, and Famprofazone. Half-lives of Speed and its metabolites may differ. Metabolism is a natural process that converts a drug into other chemicals. Notably, liver enzymes play a significant role in a drug metabolism. The products of metabolism are called metabolites. Drug tests may measure the amount both the unchanged drug and its metabolites in the sample. How Long Does The Effect Of Speed Last? It reaches your bloodstream immediately after injecting or inhaling. But it might take around 3 hours if you take it orally. When you take it by mouth, the time it takes to reach its peak is slightly more than 5 hours. Notably, the metabolites take a longer time to reach a peak; around twelve hours. More than the half-life, it is the detection time that will influence the test results. Detection time is the period after the last dose during which the amount of the drug in the sample may fall within the cut-off range. Nonetheless, the half-life is key to predicting how long Speed stays in your system. But you should understand that presence in the system and detectable presence in the sample are two different things. The detection time is up to 3 days. If you take it now, you may test positive for the next in 1-4 days. Notably, if you have a history of chronic abuse, the duration further extends to a week. Urine tests are cheaper and easy to perform. But there is a risk of sample tampering. The detection window for Speed in a saliva test is 1-3 days. In fact, Amphetamine and methamphetamine may be detectable in oral fluids for at least seven days if you eat very high doses, according to a 2016 study published in the Therapeutic Drug Monitoring. Blood tests for Speed are less common than a urine test. However, it is more accurate. In fact, many hospitals may recommend a blood test for the hospitalized patients. Likewise, blood analysis is a common practice in research facilities that study the drug behaviors. When you take a blood test for Speed, the usual detection time is 1-24 hours after the last dose. The amount of drug taken: The higher the dose you take, the longer is the detection time. The frequency of intake: With an increased frequency of consumption, you can expect the detection time to extend beyond the normal range. History of abuse: If you have a long history of Speed abuse, you may test positive even beyond the detection time. Physicochemical properties of the drug: In a typical case, a highly fat-soluble drug tends to accumulate in the fatty tissues. For this reason, Speed may stay for a longer time in an obese person. Liver health and kidney diseases: The liver is the primary organ for drug metabolism. In the same way, kidneys are essential to the excretion of a drug. Therefore, if you have any liver or kidney disease, Speed may stay in your system for a longer time. As a result, it can extend the detection time. Many drugs can stay in your system for an indefinite time, mainly depending on its fat solubility and your body’s inherent ability to metabolize it. But, this, in no way, means you will test positive. To test positive, the amount of the drug in the sample must be within the cut-off range. Meaning, you may harbor a drug and still test negative. Talk to the experts to find out more about how long does Speed stay in your system? They are one of the few sources of trustworthy health information. With the correct information, you can expect to benefit better. Looking for professional medical help for Speed or Amphetamine addiction? Get the best rehabs page here. 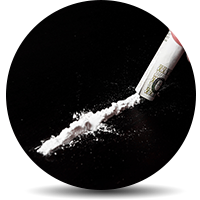 Addiction Resource » Addictive Substances: The Anatomy of Drug Addiction » What Is Speed? – How does it work? Side effects and Treatments » How Long Does Speed Stay In Your System And Urine? Work in order which I’ve been unable to do cos of being so low and tired…i certainly won’t be doing it again as I desperately need to rest ..bit the thing I’m worried about is I’ve got to go for some blood tests today at the hsp and wanted to know would it come back in my results as using speed..cos I really don’t want them to know it’s so embarrassing and it was a one off..the bloods I’m being tested for are as follows ..fbc.Renal.Liver.glucose . Calcium . Bone profile . Thyroid . Vit B12 foliage.immunoglibuten. great and electrolytes. TAG. VIT D.ANA ..ANTI CUP. CARDIAC ENZYMES .. It can stay in your system a month or longer, I recently did Meth 3 weeks ago and had a piss test today. It showed positive for amphetamines and Meth. I call BS on the life span indicated in all articles. If you believe you won’t get caught think again. The information given is wrong.